Stuart Windley Design, built by Jack A. Helms Co. 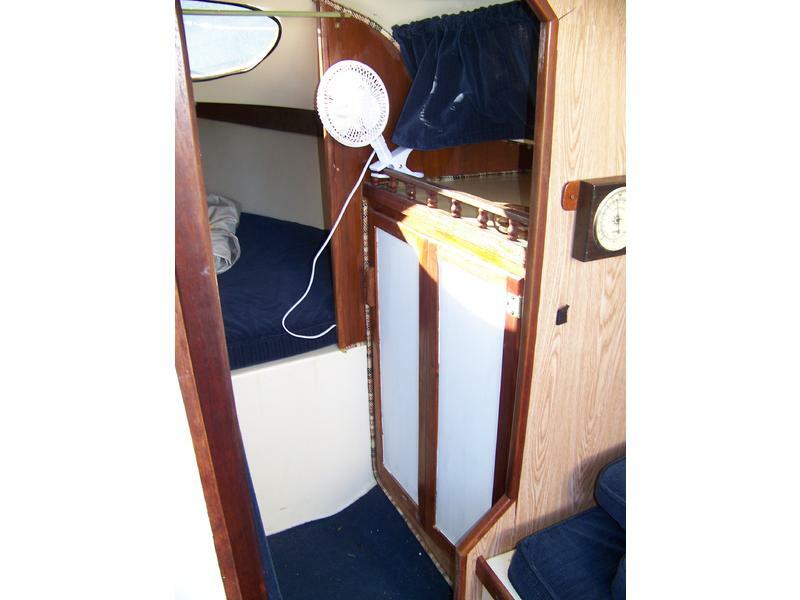 Forward v-berth with cushions sleeps 2, with hatch to foredeck. 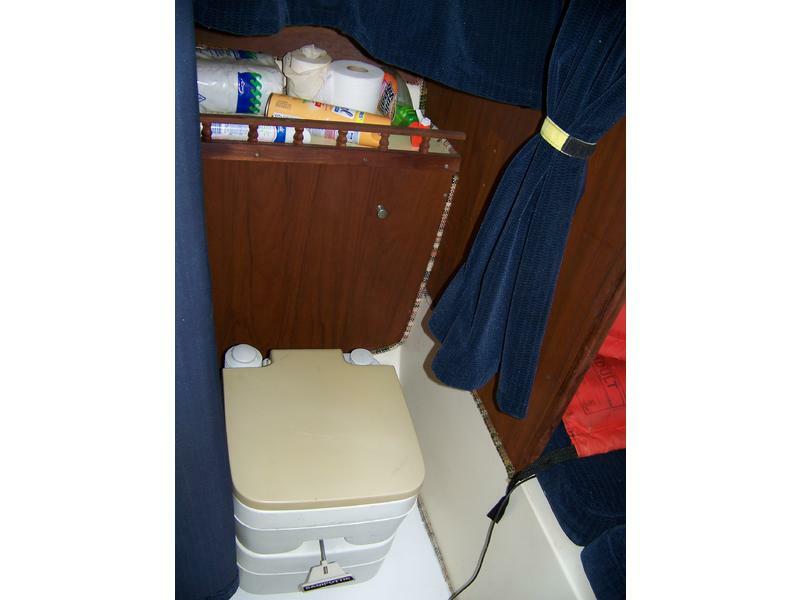 In salon, small starboard bunk is perfect for a child. 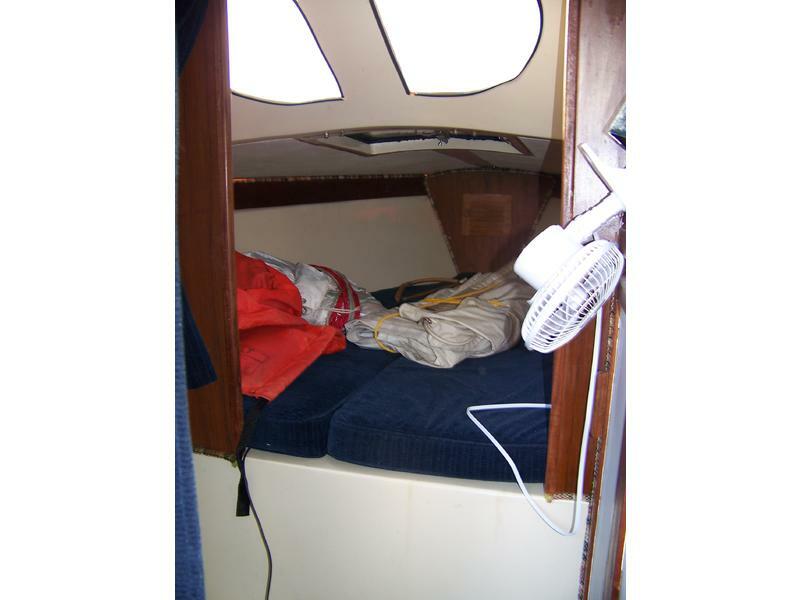 Port bunk with cushions forward of full port quarter berth. Head area includes porta potty, hanging locker, and privacy curtains. 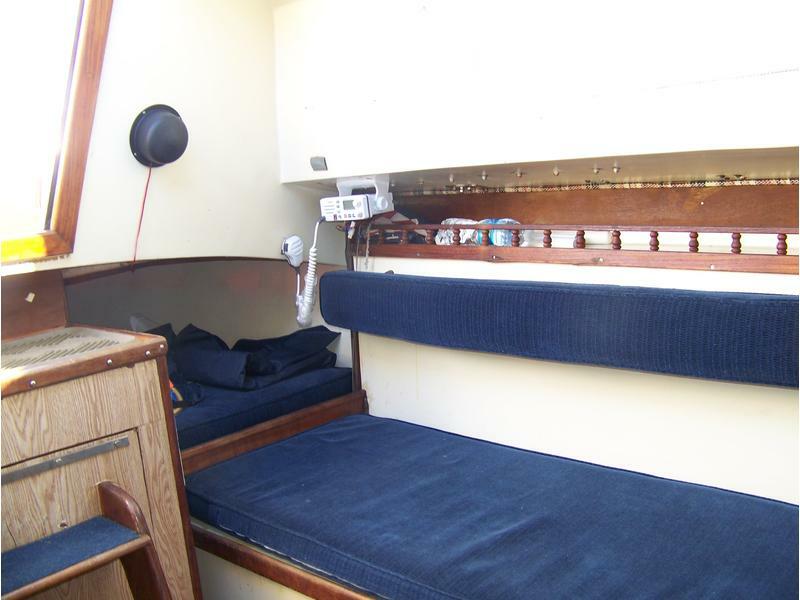 All upholstery is in excellent condition, with cushions for v-berth, port and starboard berths, backrests, as well as cockpit cushions. 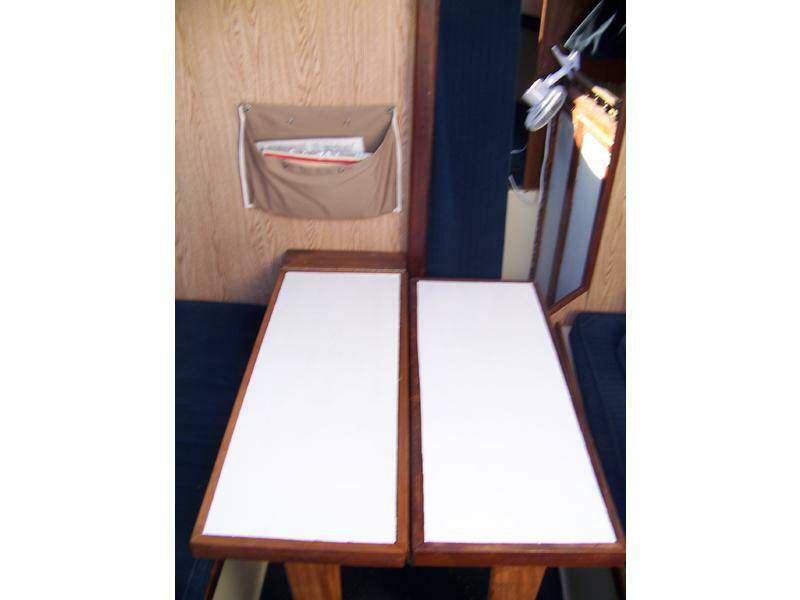 Cabin includes fold-down table for dining. 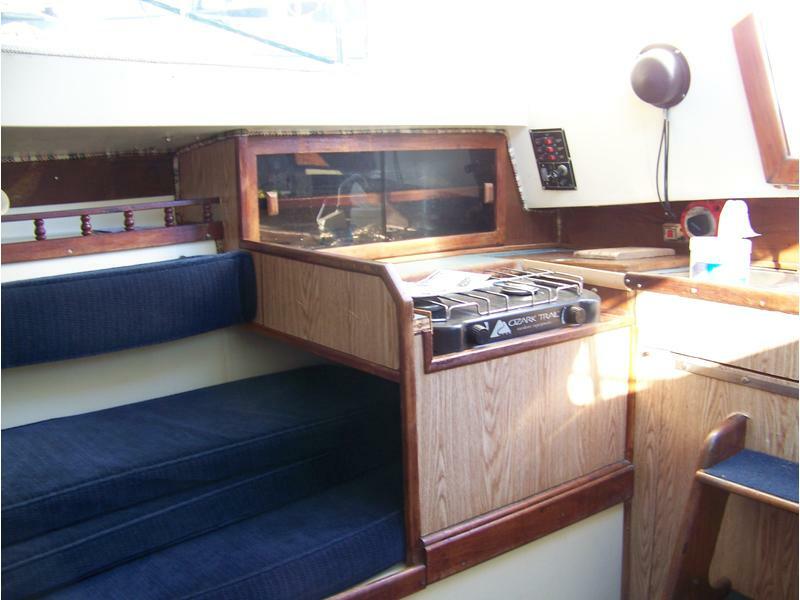 Galley to starboard of companionway ladder: two-burner LP gas stove. Icebox, stainless steel sink with electric pump from fresh water tank. 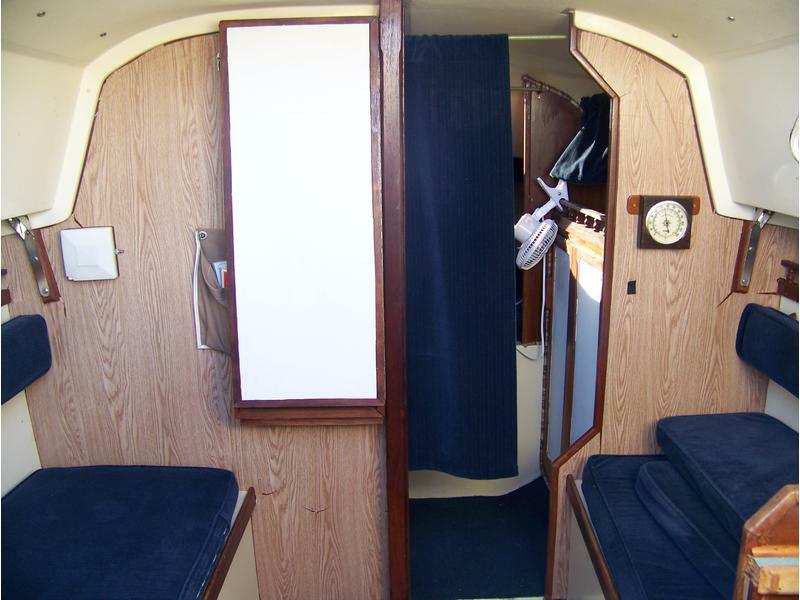 Standard Horizon Eclipse DSC VHF radio in cabin. Autohelm BiData Depth/Speed on starboard bulkhead. Humminbird 100sx Fishfinder mounted under port cockpit hatch. 12V DC with hookups for two batteries and Perko dual battery selector switch. Lights in salon, head, and v-berth. Running lights and masthead lights. Pressure water pump and bilge pump. Cruising Design roller furling with headsail, just restitched. Two winches in cockpit, with winch handle pockets below. Danforth AquaMeter bulkhead compass. Deck is solid. Deep lazarette on port side for fender and line stowage. Tiller steering, Harken mainsheet traveler at the companionway for unobstructed cockpit. 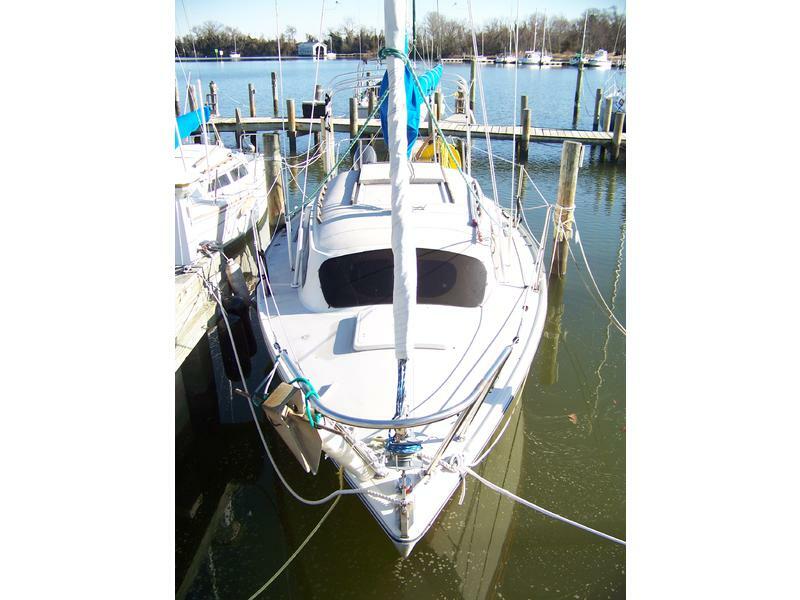 Schaefer adjustable backstay. Full-length lifelines from stainless steel stern pulpit to stainless steel bow pulpit. Teak handrails on the cabin top. Masthead rig is deck stepped. Two winches on mast for halyards. Stainless steel transom swim ladder. 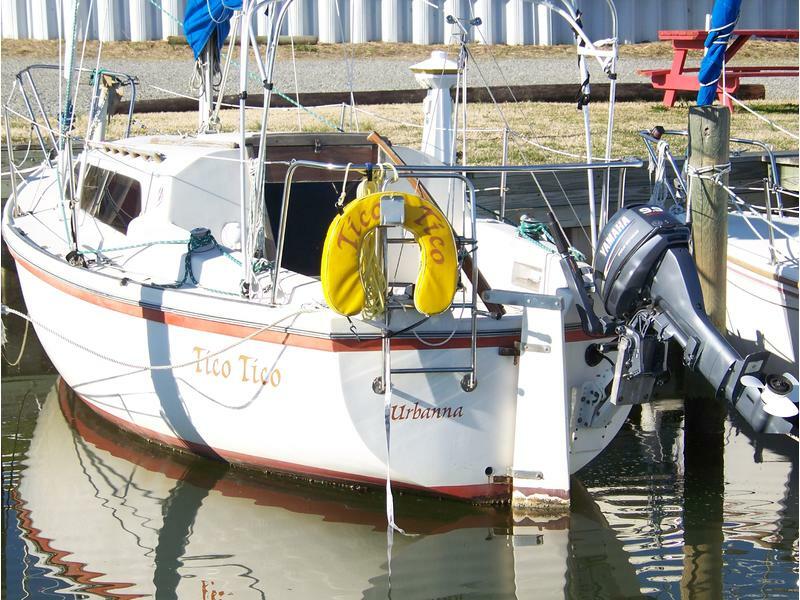 Two winch handles, several fenders, lifejackets, horseshoe buoy, fire extinguisher, Danforth anchor with vinyl-coated chain and 3-strand rode, aluminum bimini top frame, included. 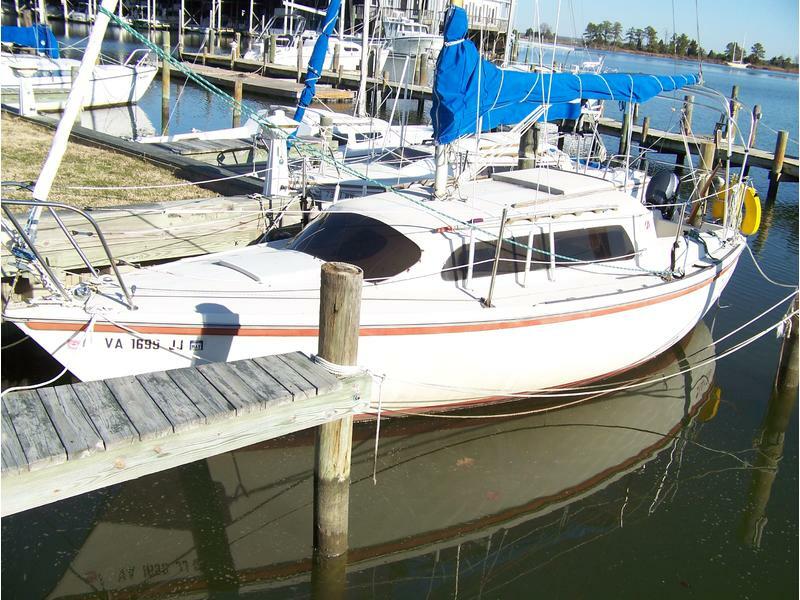 All sheets and several docklines included. 2006 Yamaha 9.9 4-stroke. Tiller steer, with controls led into cockpit.